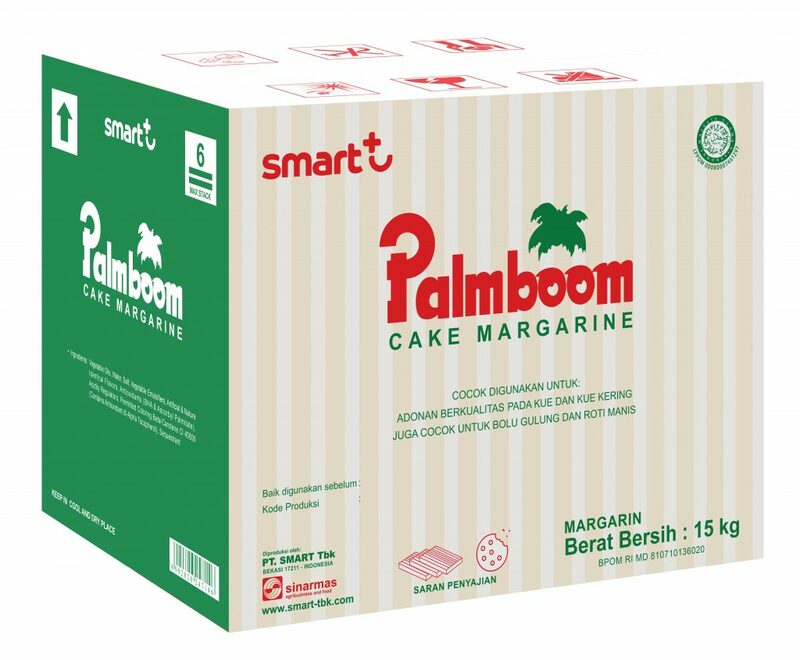 Palmboom Cake Margarine has fruity butter flavour that can last longer (bake-stable) on baking temperature and has butter-like, savoury margarine taste. It also good for health because trans-fat free. Best for high-quality cookies and cake. 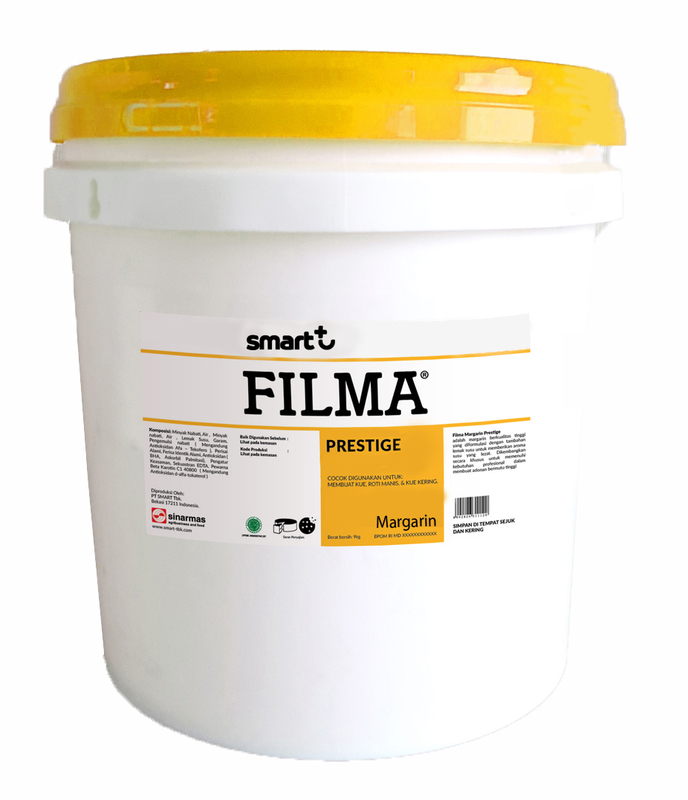 Filma Prestige is a high-quality Butter Blend Margarine, a unique mixture of “butter oil” and “margarine”. Filma Prestige delivers not only soft texture but also an exceptional flavour of butter. 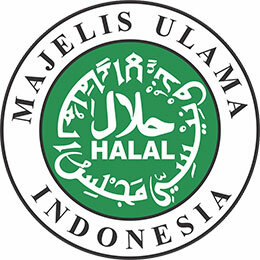 The flavour that will last long after baking process, because of its distinctive formula. 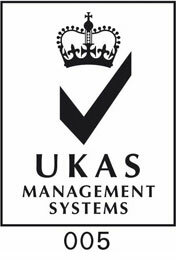 Very suitable for professionals who desire to gain the benefits from both margarine and butter. Best for cake, roll cake, and cookies. 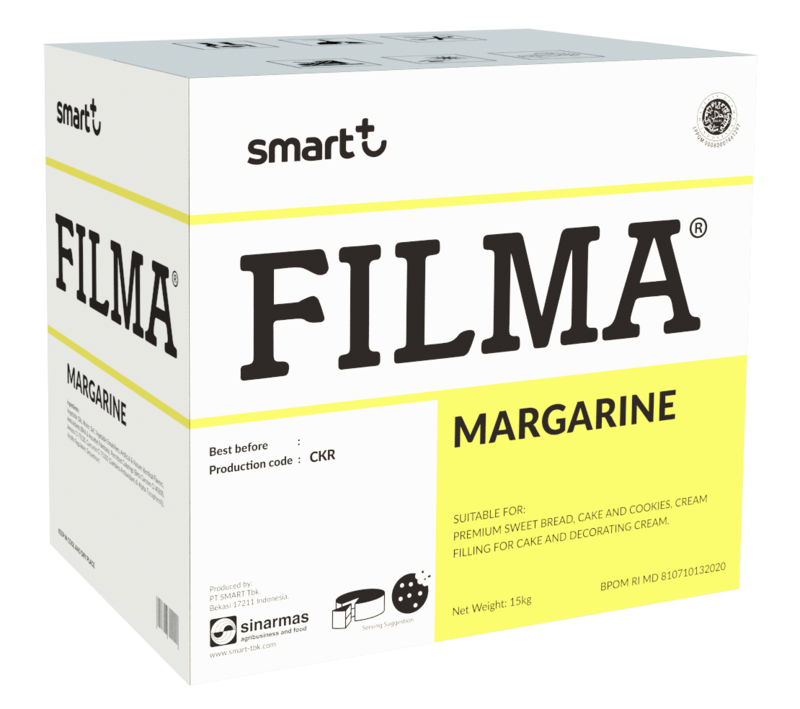 Filma Margarine is a high-quality multipurpose margarine developed especially for professional bakers that focuses on the softness and the optimum rise of their dough. In addition to its creaming ability, Filma Margarine also has a buttery scent that delivers the perfection of your bakery products such as sweet bread, cake, roll cake, cookies, filling and decorating cream. 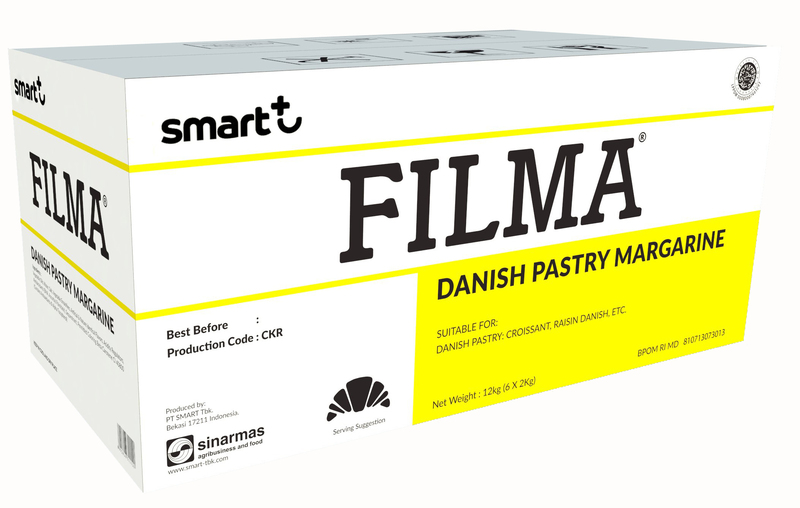 Filma Danish Pastry Margarine is a margarine with a buttery flavour. With great plasticity and good melting point, Filma Danish Pastry Margarine can produce an optimum rise of the layer and crumb structure for Danish pastries such as Danish raisin and croissant. 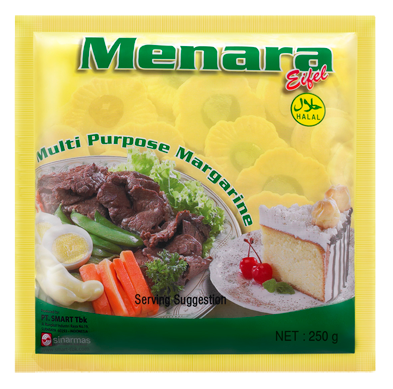 Menara Margarine is a multipurpose economical margarine. It has fruity butter flavour and good creaming properties that make it suitable for general bakery application and cream filling. 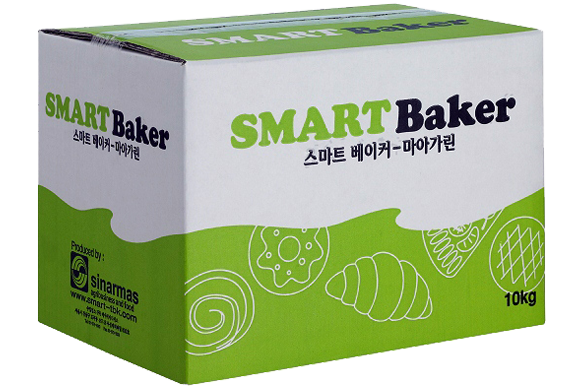 Best for sweet bread, cake, cookies, roll cake, and multipurpose cream filling (bread cream filling and buttercream). 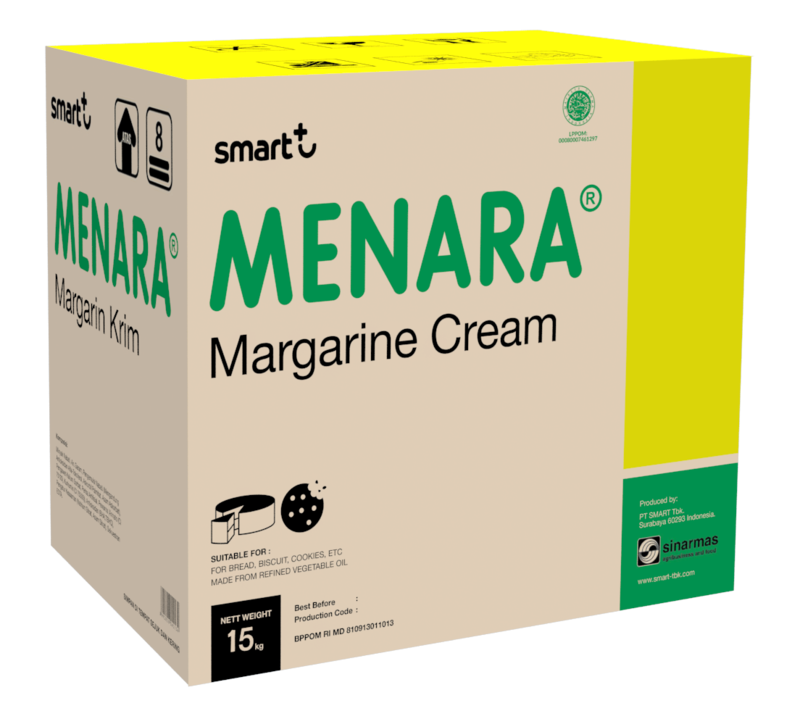 Menara Margarine Cream is a multipurpose economical margarine. It has a fruity flavour and suitable for bakery application and cream filling. 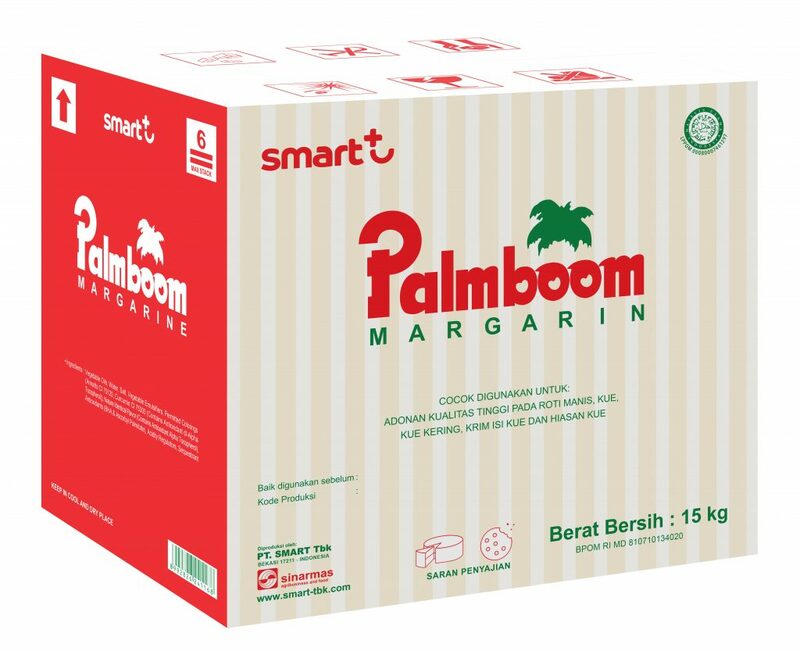 Best for sweet bread, cake, cookies, roll cake, and multipurpose cream filling (bread cream filling and buttercream). 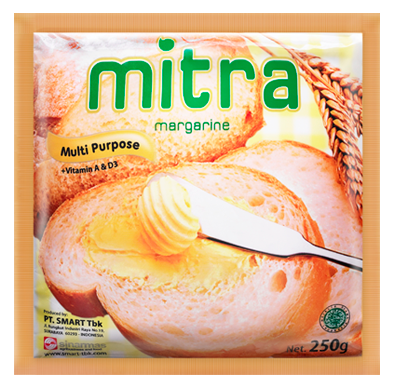 Mitra Margarine is a multipurpose margarine. It features a buttery flavour and good creaming value that makes it suitable for simply bakery products and cream filling. Best for cake batter, sweet bread, cookies, cream filling and decoration for cakes. 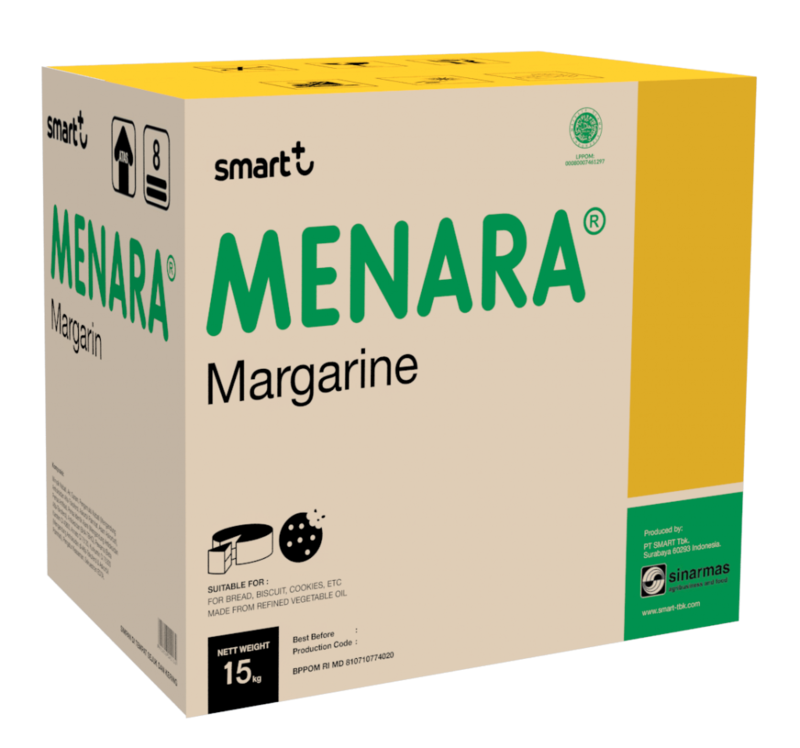 Smart Baker Margarine is a multipurpose margarine. It has a buttery flavour and specially designed to cater the needs of professional bakers to produce high-quality bakery products. Best for cake batter, high-quality sweet bread, cookies, cream filling and decoration for cakes. 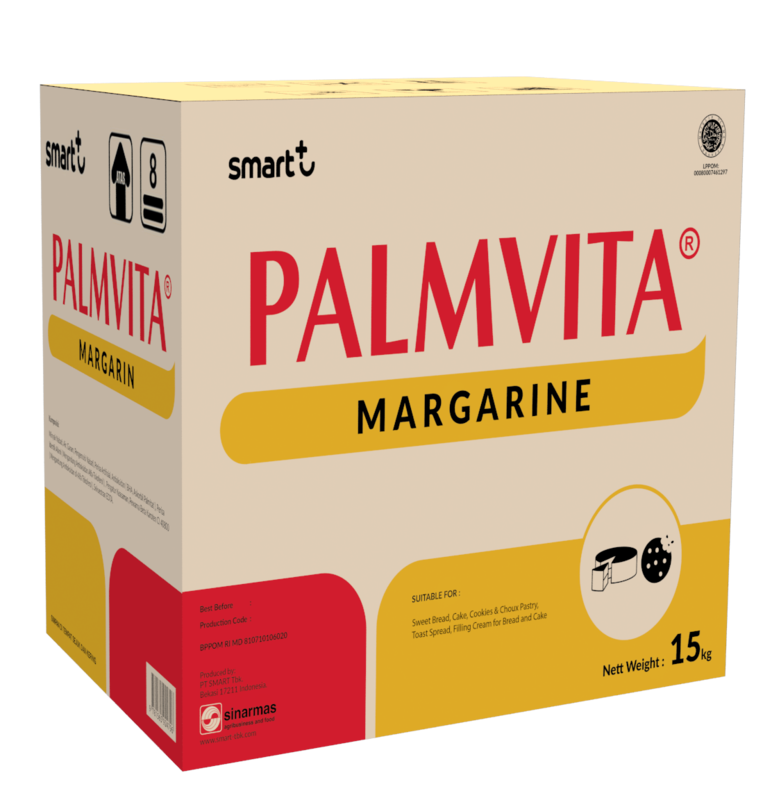 Palmvita Margarine is a multipurpose margarine with fruity butter flavour. 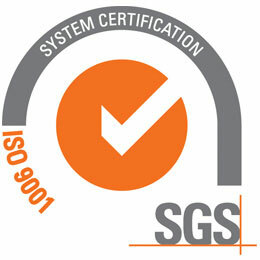 It possesses good melting point that makes it easy to be applied to all bakery products. 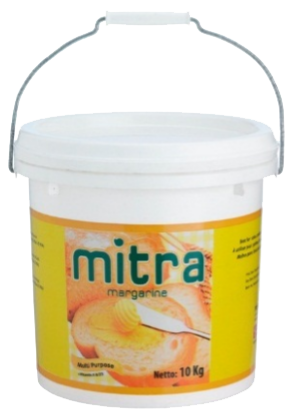 Best for sweet bread, cakes, cookies, Choux pastry (dough), spreading, cream filling for white bread and cake.